Fairfax Station, Virginia based Durga Temple is dedicated to Goddess Durga. The other deities at the Durga Temple include Ram Parivar, Shiva and Hanuman. Durga Temple organizes weekly Shiva Abhishek, Shirdi Sai Baba bhajans, Bhagawat Geeta discourses, yoga classes and bala gokulam for children. Facilities at the Durga temple include a community hall which is available for rent. 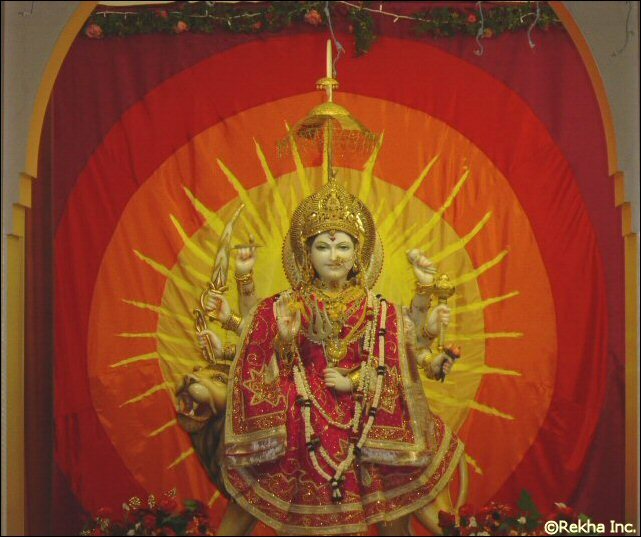 Deities Darshan closed from 1PM-2PM on all days.